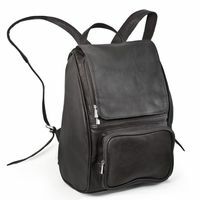 The lined leather daypack has got a padded laptop compartment in which you can keep your notebook up to 15.6 inches securely. 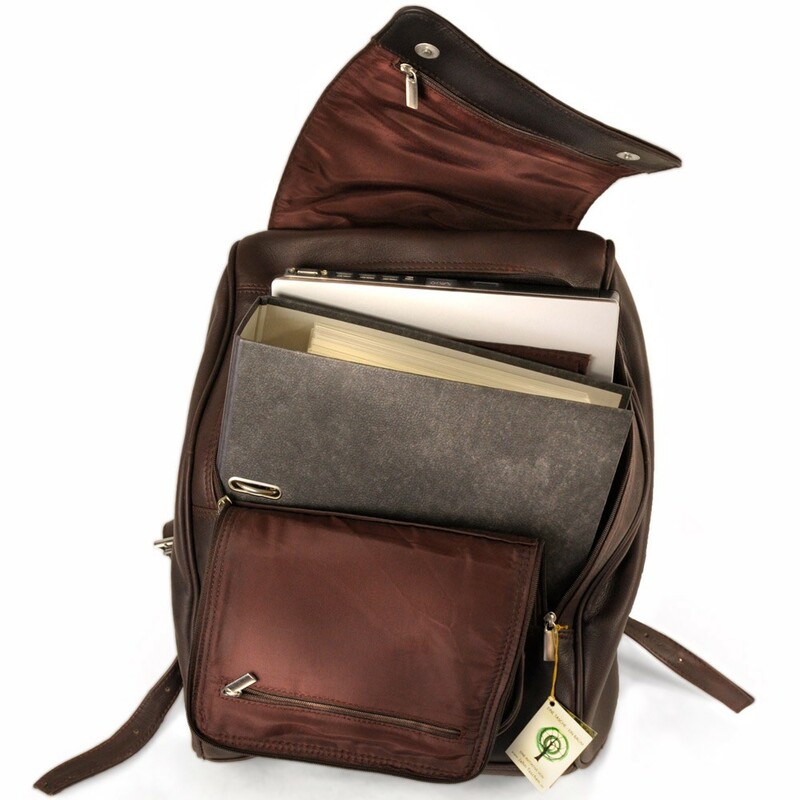 Alongside to a laptop, the chic notebook pack also fits an A4 folder and other important office documents well. 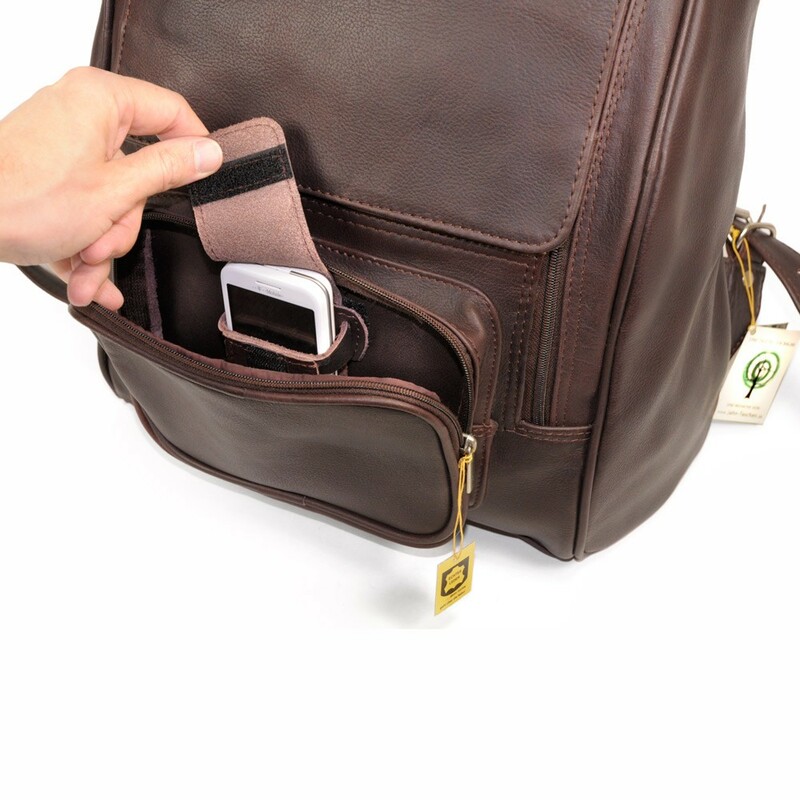 You can keep smaller items perfectly in the front pocket and in the other zip pockets which are inside the rucksack. 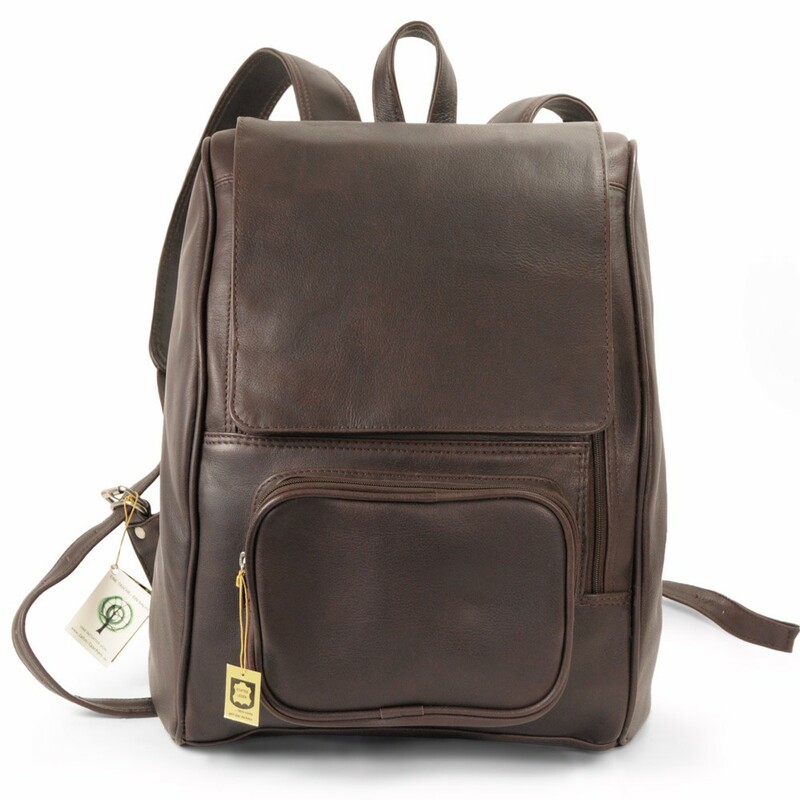 If you prefer this premium city bag of the same design slightly smaller, please choose model 710 (size M) from our leather packs. 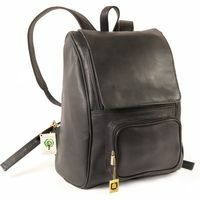 If you would rather like to have this rucksack with additional outside pockets on the side, please choose model 709 (size XL) from our leather backpacks. By leaving out the exterior side pockets, but keeping the same design otherwise, we could maintain most of the space capacity and at the same time produce a more elegant silhouette, especially for more slender people – of course without having to lower the high level of quality and the persistence of the chic book pack. 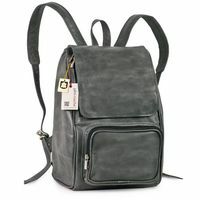 So just like model 709, the rucksack model 711 also has got a padded laptop compartment with a flexible divider for notebooks up to 15.6 inches. And like daypack 709, you can also stow an A4 folder and other documents well, alongside to a laptop in the exclusive leather backpack. 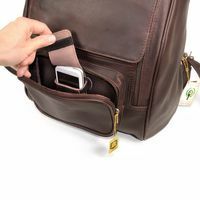 However, smaller items fit best in the front pocket with an additional small pocket for a mobile phone, in the two zip pockets in the flap and in the outside zip pocket in the back piece. 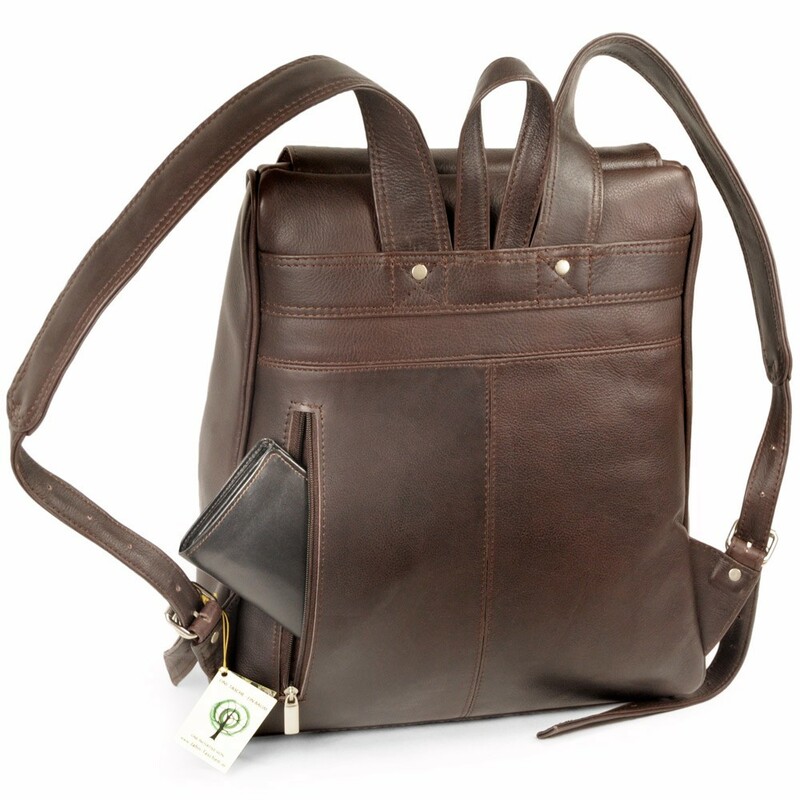 The double zipper on the large inside compartment allows you to easily pack and unpack bulky items here as well, so that you always have got a good overview over the spacious city bag’s content just like model 709. 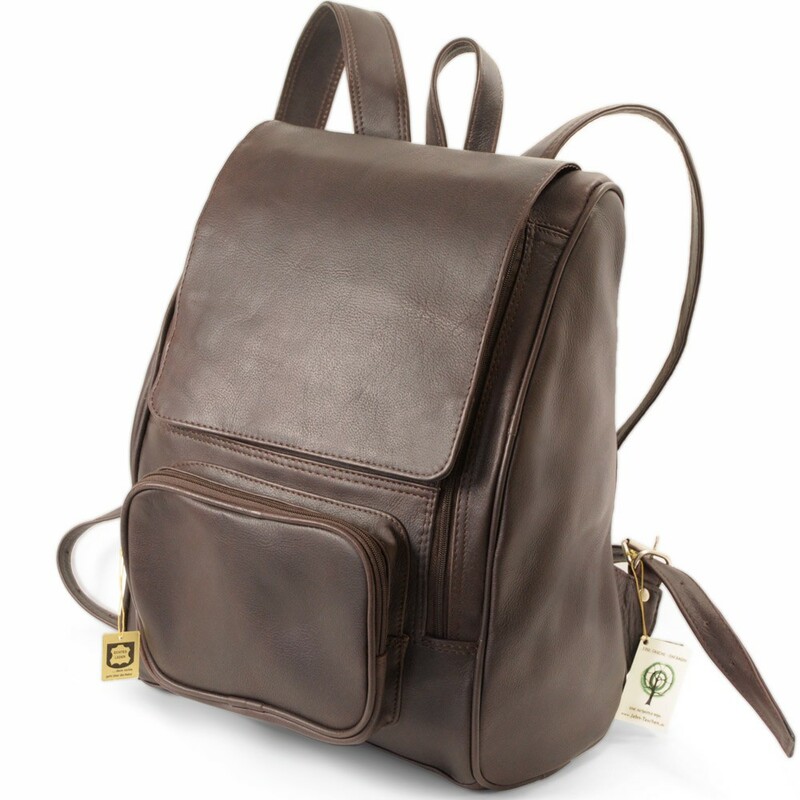 Model 711 is a first-class premium backpack as well, which certainly will become your beloved companion quickly, which you don’t want to miss out on, whether it’s related to your job or for private use. 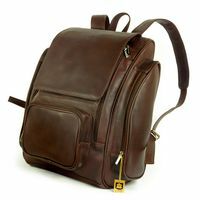 The only difference to model 709 are the missing outside pockets. Instead, this chic city bag stands out by its more slender, more elegant silhouette, which especially suits more petite people. We from Jahn-Lederwaren.de like to have customers who are satisfied with our products. We would appreciate your feedback and kindly ask you to do a product review. Thank you.